In December 2013, Wärtsilä was contracted to supply Indonesia’s largest ever engine-based power plant. The Pesanggaran Bali plant, with an output of 200 MW, will be constructed by a consortium with Wärtsilä as the lead partner together with PT Pembangunan Perumahan (Persero) Tbk (PT PP), one of Indonesia’s largest construction contractors. The plant is scheduled to be partially operational by the end of December 2014, and at full output by the end of May 2015. 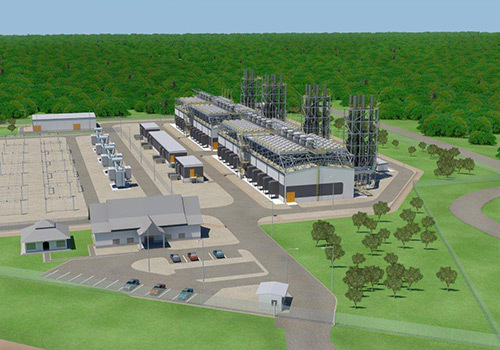 The new plant utilises Wärtsilä’s modern combustion engine technology, and will be powered by twelve Wärtsilä 50DF dual-fuel engines running primarily on natural gas. The electricity produced will be fed to Bali’s sub system grid, ensuring greater reliability in the island’s supply of electricity to both domestic and industrial consumers. The turnkey contract was placed by PT Indonesia Power, a subsidiary of the state utility PT Perusahaan Listrik Negara (PLN) (Persero), and marks the third contract Wärtsilä Power Plants has received from Indonesia in 2013, further strengthening the company’s presence there. Altogether, Wärtsilä currently has approximately 3,500 MW of installed power in operation and in projects under execution in Indonesia, and has service agreements for more than 350 MW of the country’s generating capacity.